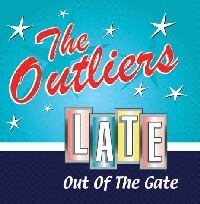 "Late Out Of The Gate" is our first CD release, and we're thrilled to finally have it available for our fans. Most of the tracks are from live performances, and for the most part, we've kept the integrity of the live recording. While we did need to record some studio overdubs, they are few and far between and were almost always due to technical recording problems where a specific live track didn't record properly or contained some nasty buzz or static. Otherwise, what you hear it how it sounded live at the gig - including some flubs, blown notes, missed lyrics, etc. - which we left in to maintain the live feel, which we felt was essential to experiencing the energy of a live gig. Here are some additional notes and comments on the tunes on the CD. We hope you enjoy listening to it as much as we enjoyed making it. "T for Texas" was one of the first tunes we did that was given the full Outliers' treatment. David, Mark & Joel were sitting around discussing songs the band could do when Joel mentioned "T for Texas". We all shook our heads that we liked the song. However, Joel's point of reference for the song was the David Allen Coe version - a fairly straight-up country feel. Mark's preference was Lynyrd Skynyrd's version from their live "One More From The Road" album - with the very funky Steve Gains groove. Sensing agreement on a version was not quickly forthcoming, we discussed coming up with our own groove for "Texas". So Mark started slapping out a rhythm on his lap. David picked up the groove and laid an extremely funky bass riff over that groove. Joel started improvising the vocal lines over the new groove. That was the genesis for our version. It also was the first time Joel sang harmony that sounded good (last verse)! "T for Texas" was one of the first songs we recorded as a band - recorded at Heartbeat Studios (Brad's basement project studio) in just two sessions (although countless mixes and remixes). We decided to open the CD with "Texas", as Joel explains, "…since it really typifies The Outliers' sound and the way we go about adding something new to standard tunes." To this day, "T for Texas" remains one of our favorite tunes to perform live, and usually generates the most response from the audience. 2. Got My Mojo Working/Who Do You Love? This is another song (or more accurately, medley) that has been in The Outliers' repertoire since the band's inception. During that time (about 7 years), the song has changed more often than a chameleon in a bag of M&M's. This version pairs two old blues tunes, but overlays both on top of the traditional Bo Diddley rhythm (E. McDaniel is Bo Diddley's real name), as "Who Do You Love?" was originally recorded. "Mojo" is another live favorite when The Outliers perform, for the irresistible Bo Diddley beat, the searing harp, guitar (and often, but not in this recording, bass) breaks, and the general changes in dynamics and groove throughout the song. In typical Outliers' fashion, the chorus for "Mojo" unexpectedly breaks out of the Bo Diddley rhythm into a straight 4/4 rock-boogie groove with call and answer vocals, then just as unexpectedly reverts back to the familiar Bo Diddley beat. Interesting to note, the performance captured here at The NorthShore Cafe was the first time that Brad played the tune with The Outliers. At the very beginning of the track, David is explaining the groove changes on the chorus to Brad. In response to Brad's puzzled look, you can hear David reassuring him, "You'll hear it, you'll hear it." "Alright, Okay" is another staple of The Outliers' live show. It's a favorite of the band's in that it has an infectious quality that leaves you humming the melody hours after you've heard the song. When Tom Gahan booked us for the Riverhead Blues Festival IV in 2003, he insisted that we include "Alright, Okay" in the set list, telling Joel, "I just can't get that song out of my head." 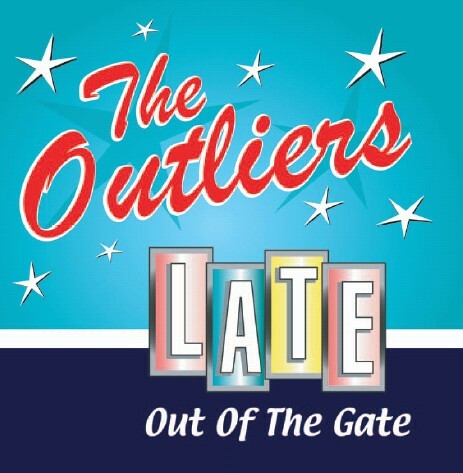 The Outliers' rendition of this song is actually pretty true to the original Peggy Lee version, although with Brad's jazzy urging and Mark L's walking bass, it swings more than the original. Joel is walking on the harp with Mark L., which reinforces the feel. The minimalist instrumentation enables Laurie's vocals to cut through and be the center of attention for the tune. And the call and response play between Laurie's vocal and Joel's blues harp lines adds an unexpected texture to the song. During the course of a gig, Laurie's performance, as you'll see here, is usually an attention-getter, often stopping people in mid-conversation to listen. The first of two original tunes on the CD, "Good For You" is a straight-up 12-bar, I-IV-V blues tune with a couple of twists. The story is: boy meets girl, boy and girl are a thing, boy loses girl, girl goes on to become wildly successful, boy really regrets losing girl. The sarcasm-dripping tune has a couple Outlier-ish twists on the chorus with the unusual (for blues) stop patterns, unusual (for blues) 3-part harmonies, and unusual (for blues) melody line on the flatted 3rd of the major chord. Mark T. wrote the song while practicing in a rehearsal studio one night. As Mark tells it, "I went to a local rehearsal studio to work out the sounds of a new amp, you know, to see how it worked with my effects pedals and guitar controls. I was just running through a number of tunes to see how the amp reacted and the tune just sort of came out. Some of the lines I had lying around from another song I'd been working on, and they just seemed to fit well in this tune. It's nothing special, just a fun little tune." Regarding the arrangement, Mark adds, "...and Joel's slide guitar adds a nice touch in that it lends some blues credibility - helpful for five white, middle-class, Northerners." Joel corrects this by saying that he IS from the south-the south of Brooklyn! "Blue Salsa" is another example of The Outliers treatment to songs - taking a traditional song and turning it around with an interesting arrangement. The real name of this song is "Mamma Talk To Your Daughter", a song that Joel stumbled across and liked. While Joel, Mark T. and Brad were rehearsing the new tune one night, Mark T. and Brad thought the song was "...a bit boring, nothing special, not really interesting." So Joel challenged them to make it Outlier-ish. Of note in the performance is that neither David nor Tommy Formisano (sitting in on guitar with the band that evening) had ever heard the song, let alone the new Latin arrangement. A testament to David's and Tommy's musical skill is how they were able to create parts on the fly that fit perfectly with the song. At the end of the song you can hear David schooling the band that the Latin rhythm in the song is a "mamba", not the incorrect "samba" Mark T. had whispered to him as he started playing the intro to the song that night. You can also hear how pleased we all were with the way the song turned out by our giggling at the end. "She's No Lady" is another song that has been on Outlier set lists for years. Joel is a big Lyle Lovett fan and suggested this song to the band. Our arrangement is a bit different from the original, less a matter of design than a matter of, while learning it, Mark T. getting the original guitar riff wrong. Joel decided he liked Mark's incorrect lick better, and it stayed. One of the more stunning parts of this song is Laurie's backing and harmony vocal. On the bridge, you'll hear Laurie singing 3-part harmony along with David - Laurie singing 3 parts. We added this later in the studio because we just loved the way Laurie sounded when she harmonized with herself. And this was done on a day when she had a bad head-cold, giving it that country flavor that Joel loves! So the vocals on this song are a mix of Joel and David live at a gig, and Laurie overdubbed three times in the studio (about a year later). We still love the way it sounds. "Big Brown Shoes" is another Outlier oldie and another studio recording. It was recorded during the same sessions as "T for Texas" in 1998. Mark T. had found the song, written and originally performed by Omar and the Howlers. "Brown Shoes is a type of blues called 'jump blues'," Joel explains, "and as a band, we really love this groove. We've since added numerous 'jump blues' tunes to our set lists. It almost always gets the crowd up and dancing. 'Brown Shoes' really helped shape our sound and direction." Brad's passion and experience as a swing drummer is clearly evident on this version of the song, which gives the tune a whole different feel from the original, which is more hard driving. Mark T remembers struggling with the opening riff for the guitar break at the recording session. "I just couldn't find a riff that fit," Mark explains, "so I did what any guitarist would do and stole a riff from a song that seemed to fit. Believe it or not, the riff at the beginning of the guitar break is from a song by Rick Springfield (yes, the same Rick Springfield of 'Jessie's Girl' fame) from a song called 'Red Hot And Blue Love'. I still love the way it fits into the song." An interesting side note; when we were obtaining the mechanical rights to use these songs on our CD, we couldn't find the rights to "Big Brown Shoes". We were nervous that we wouldn't be able to use the song on the CD. Since we really wanted to include it, Joel contacted Kent Dykes' manager (Omar's real name is Kent Dykes). His manager told us that Kent was so thrilled that someone wanted to cover one of his tunes, that he'd grant us the mechanical rights to use the song-- how cool is that? His manager also asked us to buy the new Omar and the Howlers CD, "Boogie Man" which is great (and urge you to do if you like jump blues - they're a great band). So Kent, if you're reading this, thanks man, that was really cool of you, and we totally dig your stuff! Here's a song that we bet most of you know. This is one of the rare Outlier tunes that we do fairly close to the original. With the exception of Joel's perfectly paced and arranged lead guitar break and riffs, the rest of the arrangement stays pretty true to Van Morrison's original. We did this because Laurie's vocals on the tune are just so great. This is another tune that Laurie sings that tends to stop conversations at gigs, as people get mesmerized by her vocal performance, especially how closely Laurie is able to capture the free-form jazzy vocal expression at the end of the song. Again, the sparse instrumentation helps highlight Laurie's vocals. And the swing drums and jazzy walking bass line add texture underneath Laurie. Since then, Laurie has developed quite a local following for her version of this song. Whenever she goes out around Glen Cove, if there's live music, they know her and make her come up on stage and sing this tune. Whenever we perform this song live, we're always amazed at how many people know it and are able to sing along to it. "Never Been To Spain" has always been a favorite of Mark T's, but he always thought it was a sort of goofy song that people generally disregarded. Written by country music star Hoyt Axton (of "No No Song" fame) and performed by Three Dog Night in the 1970's, the song is always a hit at Outlier gigs. As usual, an Outlier treatment is applied, giving it a slow, bluesy feel. Joel describes the feel a "real swampy blues sound". The highlights of the song are the bluesy guitar fills, back porch blues harp licks, Laurie's spot-on harmony vocals, and the dynamic level changes in the song. The only odd thing about the song is that none of us have a clue what it's about. If any of you do, please send us an e-mail and let us know. Covered by just about every blues band over the past gazillion years, "Trouble in Mind" is a slow blues tune that highlights David's warm bluesy vocals. While David prefers to assume backing and harmony vocal duties and leave the majority of lead vocal to other members of the band, this song clearly illustrates the depth of emotion that David can conjure up when needed. And his melodic bass lines pace perfectly with his vocal phrasing. National Public Radio recently spent an hour playing 15 different versions of this song: versions from swing blues to country blues to gospel blues to metal blues to Chicago electric blues to Delta blues and on and on. I'm happy to report that this Outliers version didn't resemble any of them, especially the swing in the guitar break and old blues style in the harp break. At the end of the song, you can hear that the crowd agrees with our assessment of the song with their spirited response. "Big Dawg on Bourbon Street" is the second original tune on the CD - an instrumental tune. As the name implies, it is inspired by New Orleans swing and blues. Joel had been on a business trip to New Orleans and returned to an Outliers rehearsal with great enthusiasm. The song had hit him while walking along Bourbon Street (Joel's nickname is "Harp Dawg", and I guess you'd call him "Big"). Joel's harmonica instructor is David Barrett, a king of blues harmonica and the most published author of blues harmonica material. When Joel decided to use up some frequent flier miles by flying to San Jose for a couple of days of intense one-on-one instruction, he learned some of the techniques he uses in this tune. So, indirectly, we have David Barrett to thank for this song! While most Outlier arrangements are collaborative efforts by all band members, Joel had the tune and the arrangement all figured out: "OK Brad, play it like this, a real New Orleans, Dr. John/Meters/New Orleans funeral feel. Mark, do this here, do that there. Laurie, do this and try this here. It has this feel here, and that feel there, then goes back to this feel for three times, then the other feel twice, then back home again. The bass part mirrors the guitar part here, and walks and swings there. OK, ready?" We all kind of apprehensively shook our heads and said, "Uh, OK. What key?" So we ran it down once. A complete train wreck! "No, no, no," Joel said, "This feel here, that feel there, three times, then repeat the original feel, then the other feel twice, then back home. "Uh, OK. What key again?" "Look, I'll give you hand signals for all the changes." And then it gelled...and we loved it. A totally different sound for us. Luckily, the night we recorded "Big Dawg" at Cap's On The River , Ed Leone, a friend of Brad's and an extremely talented musician was at the gig. We had jammed with Ed before and knew he was great, so even though we were recording that night, we invited Ed up to play the tune with us. And it was great - he nailed the Trombone solo with some absolutely cool riffs, and even though we had accidentally set him up at the wrong type of mic for a Trombone and he sounds a tad muffled, he added so much to the tune. Joel likes to introduce "Black Dog" at gigs as being a song off of Led Zeppelin's Unplugged album. He then admits that Led Zeppelin never recorded an Unplugged album, but if they had, this arrangement would certainly be on it. "Black Dog" typifies the Outlier treatment, in this case taking a hard rock song and turning it into a blues/jazz tune. A passion of Mark T's, we spent a long time getting this tune just right. We struggled with the arrangement with the guitar and bass riff caused unending grief because of the unique time signatures. Finally, on a flight from Chicago to New York, with Mark "air conducting", he got that the issue is simply one extra beat added to the last 4/4 time signature measure. Once we got that, it all fell into place. The blues harp really adds a muddy, dirty sound to the tune, and the crescendo during the harp break mixes up the half beat droning of the rhythm section. We love throwing in some of the standard classic rock tunes at our gigs, especially because those who come to see us play just love it. This Rascals tune is one of the crowd favorites - likely for it memorability and energy. Not especially Outlier-ish, it does work to blend two different versions of the tune: that of the original by the Rascals, and that of the Grateful Dead - a more rambling version. This is the second tune on the CD to feature Mark Loebl, who shows off his rollicking bass lines throughout the tune and keeps the energy high. And Laurie's & Joel's backing vocals really help move the tune along. The tambourine was added later in the studio because, well, because, because it sounded good. The story behind our doing this song starts 8 years ago, around 6:30 one evening, when Mark took out a guitar Joel kept in the office and starting playing this song this way. Joel loved it, filed that away, and years later suggested the band do the song this way. Joel also loves it anytime he gets to sing harmony - kind of like a pitcher being more proud of getting two base hits, than the shutout he just pitched. The final studio tune on the CD was also recorded back in 1998, although some new guitar parts were added just last year. "Sitting" is also a long-time staple of the Outliers' set lists, and also runs in the 'jump blues' genre that we've come to love. This song actually was performed at Classy Coffee in Port Washington, before we ever practiced it. Joel came up with the idea for the boogie feel as he was driving around in his car with David. Joel & David then walked Mark T and Laurie through it at the break, and it came out great. This is another song that has been covered by a zillion bands. In fact, when we first played it, everyone said, "Oh, I know that song, by (BLAH BLAH)." And we all mentioned a different band. But no one plays it THIS way (as far as we know). What really makes our version of the tune different is the harmonies throughout by David and Laurie, the 1/8 note boogie guitar riff by Mark T, and the hand-off solos in the middle of the song. When I listen to this recording, I always get a kick out of the "less than tight" ending, typical of how we sometimes end songs...kind of like, hey, if you're the only one playing, it probably time to end the song.